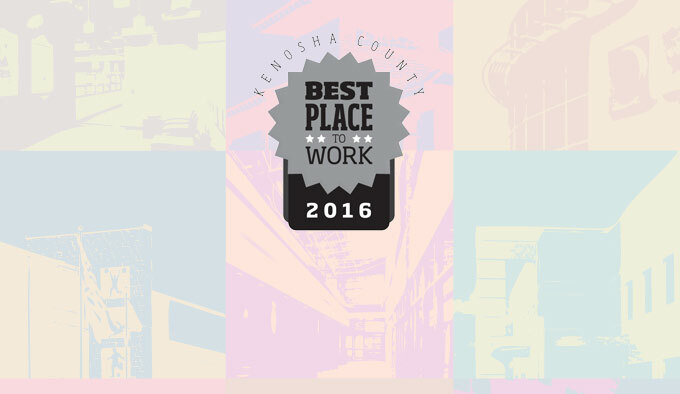 The new 2016 Small Business - Best Place to Work in Kenosha County is Partners in Design Architects. The PIDA staff nominated the firm based on, "the care and commitment Partners in Design Architects has for their employees, the respect they are shown, the impressive benefits, and the inclusive atmosphere filled with fun, social interaction and camaraderie." "We are humbled and thrilled," stated Tom O'Connell, one of the firm's partners. "One of our firm values is to work collaboratively with clients, our business partners and staff. To be recognized in this way is a great honor and we appreciate the staff for helping to make PIDA the Best Place to Work." 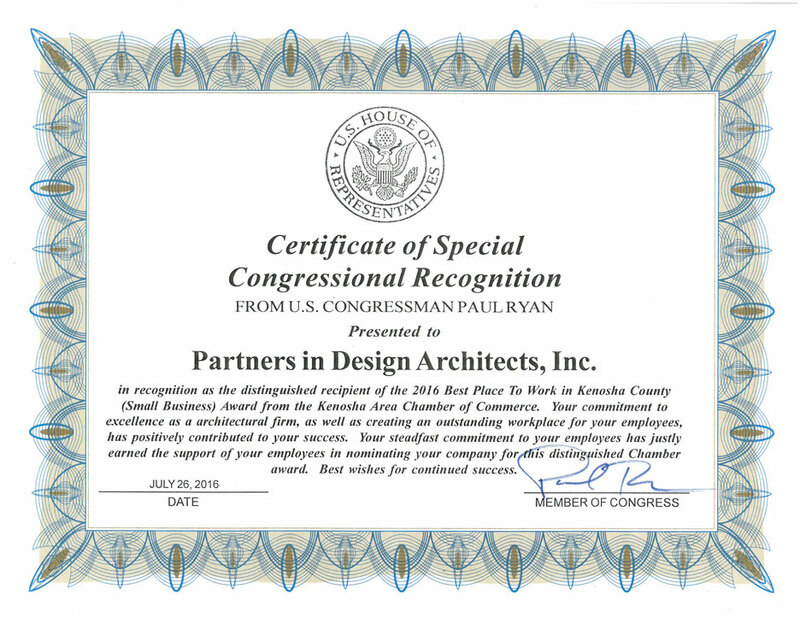 Partners in Design Architects will be presented with this award at the Chamber's Annual Meeting on July 27th, 2016.